Strengthening disaster and community resilience has become an integral part of Australia’s ability to mitigate, respond to and recover from man-made and natural disasters that pose population-level threats to society, the national economy and the environment. From fire, drought and flood, to the long-term impacts of climate change, we recognise the growing importance of preparing communities to help themselves. We are making significant gains in the area of disaster resilience with the aim of improving community preparedness and recovery in the event of emergencies whether minor or major. Through high-quality research, education and community engagement, we challenge and support communities, governments and organisations to strengthen their resilience against unforeseen or significant disruptions. Monash University Disaster Resilience Initiative (MUDRI) has a strong interest in helping communities develop their resilience, particularly in the setting of disasters, emergencies and unexpected events. As a result we created a Compendium of case studies that reflects Victorian Community-based Resilience Building Case Studies, which represents an Australian first. The Compendium of Victorian Community-based Resilience Building Case Studies, published online in August 2016, provides free access for all. 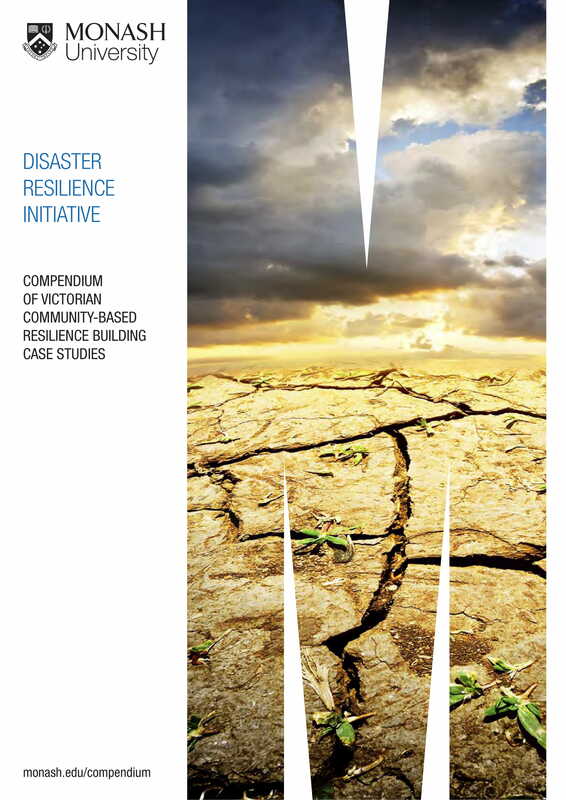 The Compendium includes case studies of resilience-building initiatives from across Victoria, offering knowledge about community-strengthening activities for researchers, government agencies, and community members interested in increasing resilience at a local level. Readers can draw on the examples and expertise embedded in each project. The Compendium enables Victorian communities to showcase their resilience building activities through shared lessons, insights, and challenges. Project creators can share ideas, explain how they solved problems, and report on how they discovered new directions or found unexpected pieces of wisdom. MUDRI holds regular forums and events to bring together disaster resilience professionals and disseminate current research and best practices in the field. Authorised by: Chief Marketing Officer, Strategic Marketing and Communications. Maintained by: Accident Research Centre Webmaster Team. Last updated: Jan 2019.